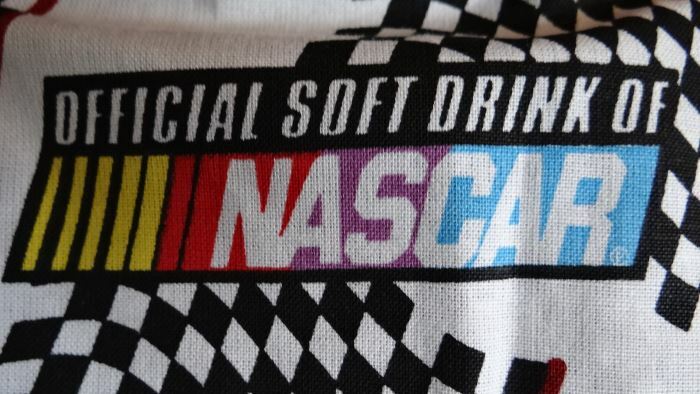 This “Coca Cola” “Official Soft Drink Of NASCAR” Dog Sun Dress in Size Small was designed to represent NASCAR and Coca Cola the official drink of NASCAR. 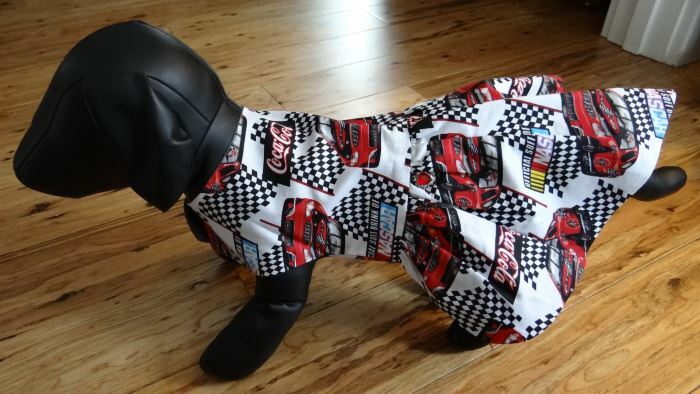 This is an adorable dress for the NASCAR puppy to wear during the racing season. 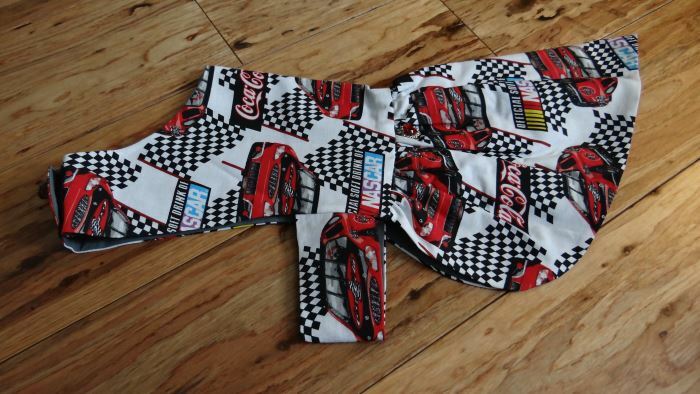 The “Coca Cola” “Official Soft Drink Of NASCAR” Dog Sun Dress was designed by Bark Avenue Dog Boutique this is a one of a kind original dress. You will never see another one like it anywhere. 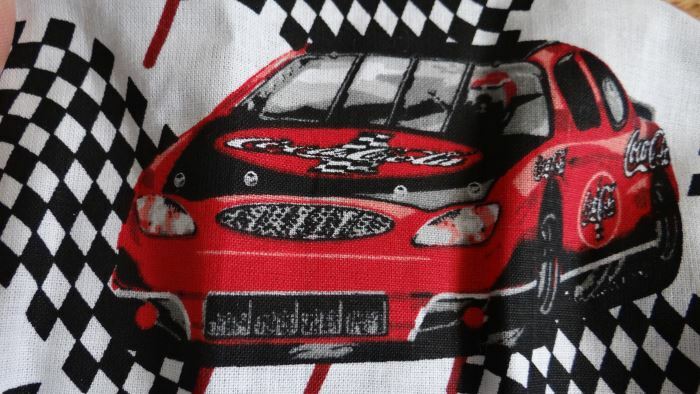 The cotton fabric has a white background and features the Coca Cola NASCAR pattern. 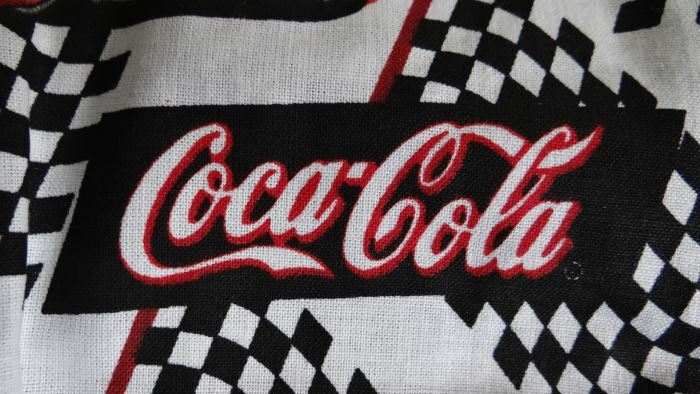 There is the red Coca Cola sign, black and white checkered racing flags, “Coca Cola the Official Drink Of NASCAR” printed on the fabric. 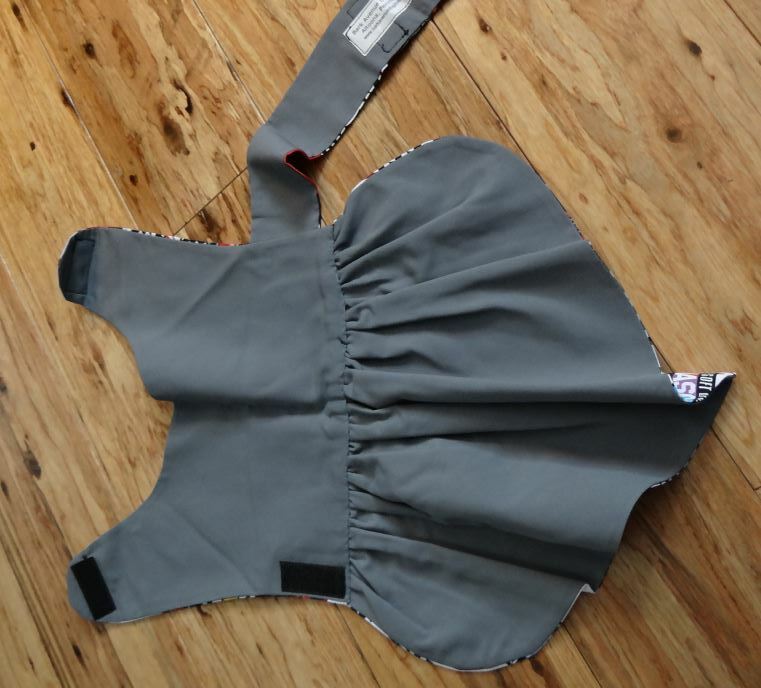 The dress is fully inked with a grey polyester fabric. 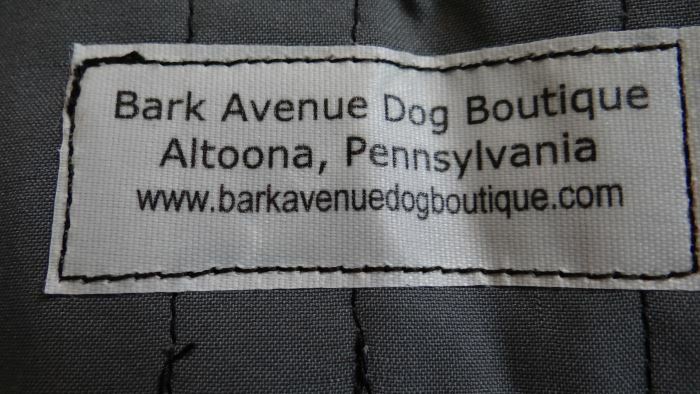 The Bark Avenue Dog Boutique label is stitched on the lining of the dress. 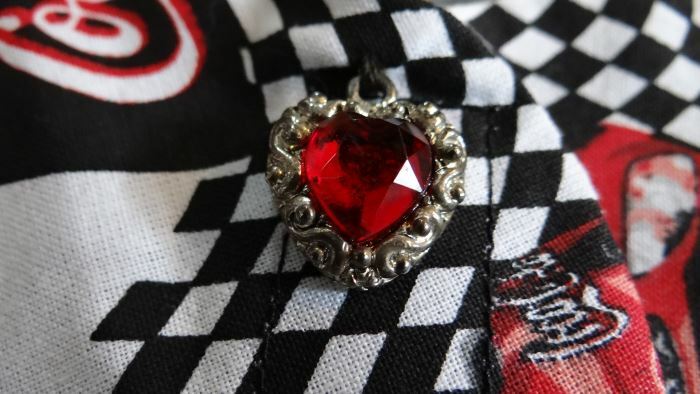 There is an antique silver looking heart with a red rhinestone in the middle at the neck front of the dress and at the waist. 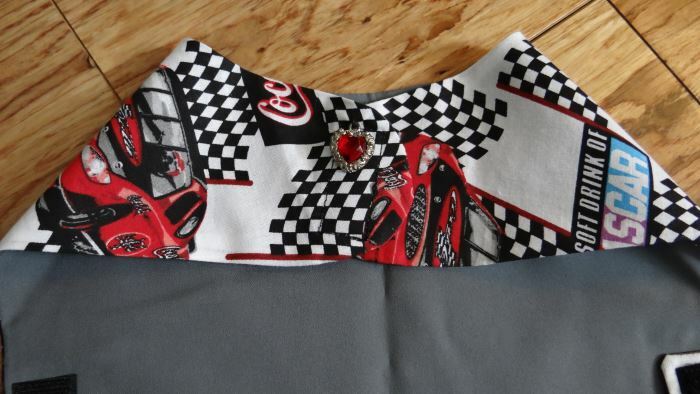 The dress measures 12” at the neck, 15” at the back of the neck to the hemline and 16”-18” around the adjustable tummy. Touch up with a warm iron.